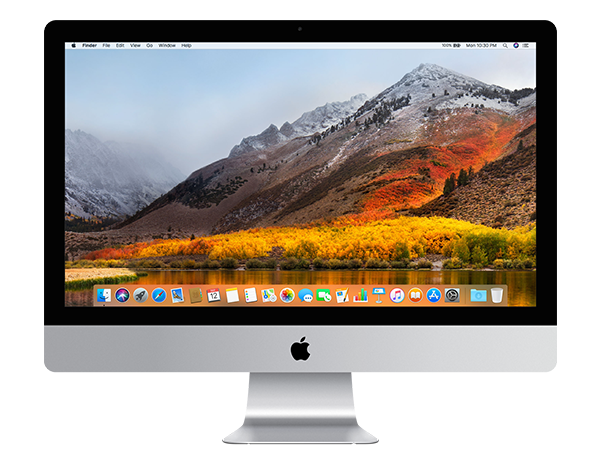 The newest version of Apple’s desktop operating system, macOS High Sierra, was launched on September 25. It’s not a huge release in terms of new features, but there are a few things that can make your life easier. These are the best 17 features, tips, and tricks for macOS High Sierra. Let's discover. What are the new features in macOS High Sierra? The biggest changes in High Sierra aren’t even user-facing features. But while you may not notice these changes, they should make your Mac more efficient, which can save you battery life as well as speed up tasks. 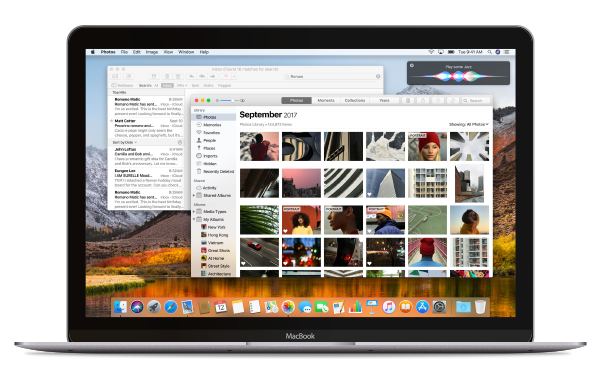 If your Mac has all-flash storage (an iMac with an SSD, or any recent Apple laptop), High Sierra will bring with it a new file system called APFS, or Apple File System. It’s a 64-bit architecture with built-in encryption and designed to speed up common tasks like copying big files. If your Mac has a Fusion drive or a traditional spinning hard drive, you won’t get APFS right away. This is a pretty under-the-hood improvement that most users probably won’t notice. Apple’s Photos application gets a big overhaul in High Sierra. For example, the new always-on sidebar making it much easier to find what you’re looking for. But aside from handy interface tweaks, Photos has some very useful new features too. It’s also got a new Curves feature in the editing panel, which is a lot more intuitive than the Curves feature in Photoshop. A new Selective Color feature lets you saturate just one color, if you want to make your subject’s eyes or lipstick, for example, really pop. When you take Live Photos with an iPhone, the camera captures three seconds of video. Starting in iOS 11, the Photos app can convert those into three new Live Photo types: Bounce is kind of like Instagram’s Boomerang, showing the same action backwards and forwards. Loop is like a GIF that plays over and over forever. And Long Exposure is good for nature shots and landscapes, smoothing out any moving parts like a rushing river or a highway full of cars. 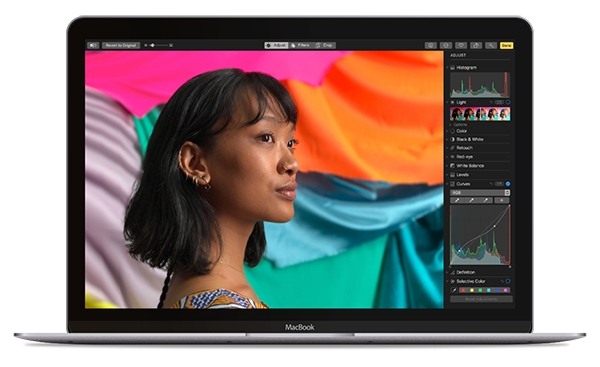 The same Live Photo effects are supported in High Sierra on the Mac, and they’re nondestructive, so you can try out an effect on any Live Photo without altering the original. You can also edit a live photo to trim off any unwanted parts, and select the key frame from any frame of the video. This is great if you take Live Photos of people—if, for example, someone has her eyes closed in the key frame chosen by default, you can drag the selector box around to find a frame where everyone is actually looking at the camera. High Sierra makes it easier to use Photos to organize your photo collection, but still send them off to another app for editing. You can right-click a photo in Photos and choose Edit With from the contextual menu to open that photo in another editor like Photoshop and Pixelmator—or even Setapp apps like CameraBag Pro and Tayasui Sketches. Photos always had Apple’s own print products like books and cards, but in High Sierra, you can also create new projects with third-party services like Shutterfly, WhiteWall, iFolor, Wix.com, Mpix, and Mimeo, from right inside the Photos app. This will give you more choices and different projects, like framed prints, wall decals, websites, and more. Apple’s own web browser works even harder in High Sierra to keep annoying ads and autoplay videos from driving you bananas. You know how after you shop for something online, you keep seeing that same thing advertised everywhere else you go? Safari will use machine learning to keep advertisers from tracking your behavior, while letting useful cookies stick around. You can turn this off in Safari’s preferences if you like, but it might be nice to not have the things you buy online haunt you for weeks on end. Everyone who browses the web has been annoyed by an auto-playing video. You’re trying to read an article, and then boom, all of a sudden there’s a commercial blaring in the sidebar, and it ruins the experience. Then again, when you visit sites that make good videos, you might not mind. In High Sierra, you can block auto-play videos by default but still white-list your favorite sites. I can never get enough of those recipe videos, myself. 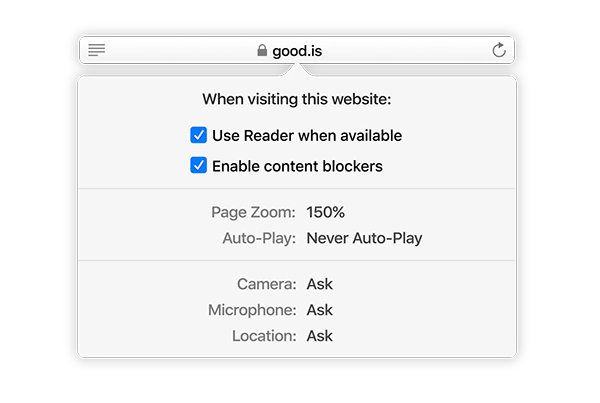 Safari for High Sierra also lets you enable content blocking pkug-ins per site, or have a site default to Reader mode to make it easier to see. If one of your favorite blogs uses a really small font, you can even zoom its pages by default. If your local newspaper’s site is always pestering you to share your location, you can disable that for the site too. Just right-click the site’s name in the URL bar and choose Settings for This Website to customize it all. Siri gets a more natural speaking voice in High Sierra. It also uses machine learning to learn what kind of music you like to listen to—try asking for something to fit your mood. With the HomePod coming this holiday season, Apple is putting a big emphasis on Siri’s musical knowledge across macOS and iOS too. Mail in High Sierra gets a Top Hits feature that surfaces your most important mail based on how often the sender emails you, how often you read that person’s email, and if you’ve marked them as a favorite or VIP. You know how you can Google a flight number and find out information about its departure time, on-time status, and so on? Now Spotlight in macOS High Sierra can tell you that too. Type Command-Space to open Spotlight, or paste the flight number into Safari’s URL bar. You can take a picture during a FaceTime chat in High Sierra, but your partner will get a notification that you did. Messages are now synced between iOS 11 and macOS High Sierra using iCloud. That way if you have to restore your Mac or your iPhone you won’t lose your Messages history, plus read/unread status will match across all your devices. Apple’s Notes app got a little more useful with the addition of tables, and the ability to pin important notes to the top of your list. Notes already syncs perfectly with iOS via iCloud, and you can add webpages and photos to Notes easily from the Share menu all around macOS and iOS. Before High Sierra, you had to pay for separate iCloud storage space for every member of your family who wanted it. Now you can get a 200GB or 2TB plan and share it among everyone in your iCloud Family Sharing group. Enjoy new macOS and be among the first ones who get the new exciting features.